Join a series of AMAs around a specific topic curated by Plato Mentors. 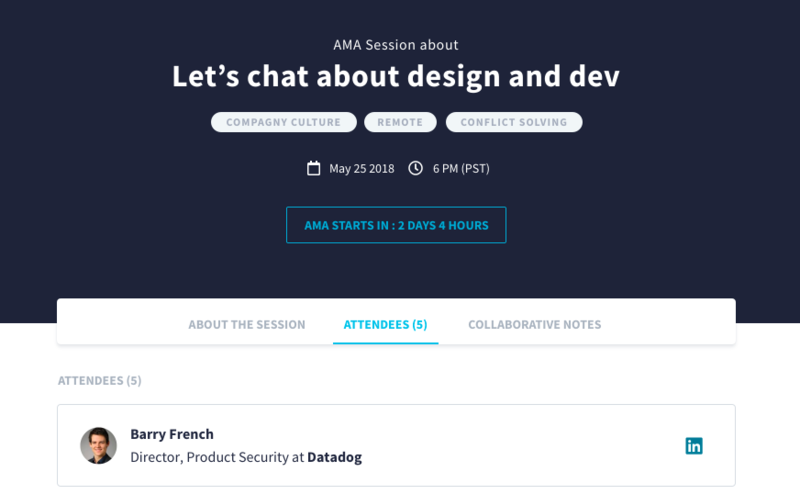 AMA Tracks are a series of AMA Sessions that revolve around a very specific topic. You will join up to 5 other mentees to discuss your challenges related to this topic with a Plato mentor. Your skills and knowledge will grow as you and your peers progress through these sessions until you graduate from the track. Improve Your Soft Skills At An Exponential Rate. With dozens of Tracks available, and new ones opening up each week, there's always something available for you. Pick your top challenge, or pick them all! 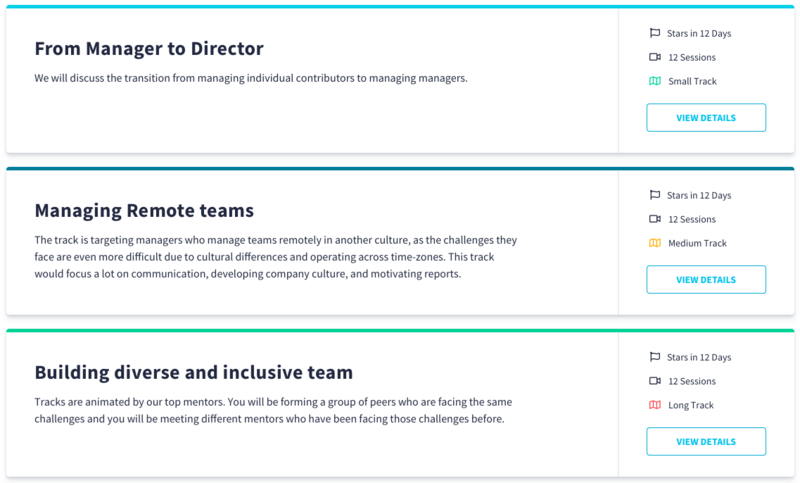 Join 5 other peers in each AMA call and work through your challenges together. A Plato mentor will be around to guide the conversation and answer your questions. 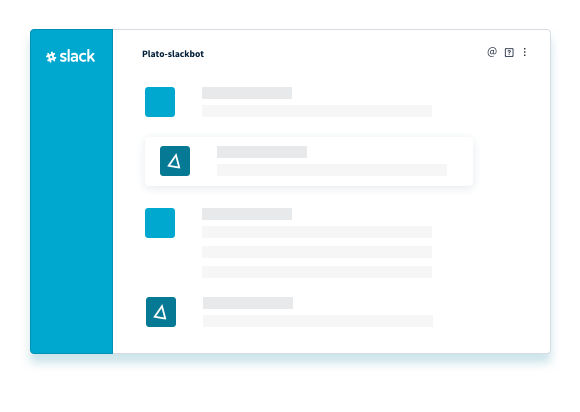 With Plato you’re able to provide a resource to your engineering leaders that’s integrated in Slack, and easy to leverage. And the impact of Plato can be realized immediately--your team will be soon talking about how many actionable conversations they’ve been a part of.